In a collaborative process initiated in May 2012, the Incarnate Word Academy School Board of Directors ratified the following goals in each of the key areas below. These goals will be developed into specific outcomes/actions and set on a timeline of completion throughout the next five years. Largely internal and operational, these goals will allow for the continuation of the school’s Enlighten, Inspire, and Strengthen Campaign, as well as address the needs for the future with proper planning, resource allocation, and diligence. Click here to view the executive summary in the Strategic Planning Booklet. 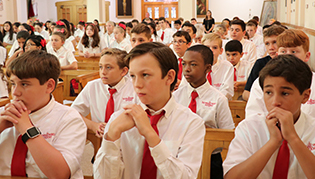 IWA will initiate campus-wide programs which will enable all students and faculty to develop and maintain a personal relationship with Jesus, Incarnate Word of God. IWA will initiate an objective review of what “Catholic Identity” means at the Academy and then evaluate the curriculum and faculty at all levels. IWA will develop and execute a plan to make the school board a more visible, more active part of the IWA community. IWA will develop and execute a plan for ongoing training and professional development of the School Board of Directors relative to their roles in service to IWA. IWA will institute an annual review and revision of the Board bylaws. IWA will continually hire and retain the most qualified teachers and staff, giving preference (when appropriate) to Catholic individuals, who actively practice their faith. IWA will provide a competitive salary and benefits package, implementing professional development programs for new and returning teachers. 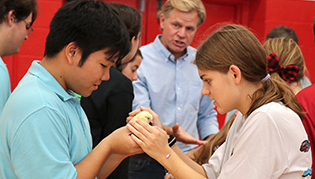 IWA will develop a succession plan for administrators, faculty, and staff — recognizing the need to continue to enhance its programs. IWA will define and articulate a clear description of an IWA graduate. IWA will develop and implement an outcomes-based enrollment management process. IWA will improve vertical alignment by establishing and integrating subject-specific standards for graduates of elementary, middle and high school levels. IWA will create and promote Academy-first, campus-wide programs to build pride in our students, parents, and supporters. IWA will identify, define, and communicate the core purpose elements of all student life activities, including Athletics, Missions, Academics, and Arts programs. IWA will refurbish common areas to be more inviting. IWA will establish a comprehensive guidance plan for all three levels that will include guidance curriculum, individual planning, college preparation and placement, responsive services, and system services. IWA will develop a comprehensive Facilities Master Plan which includes an integrated maintenance process, prioritization process, stakeholder input process, and external communication process. IWA will develop and implement a comprehensive safety and security program. IWA will develop a comprehensive plan to educate the IWA community on the financial status, structure, and plan of IWA and the IWA Foundation. IWA will develop a plan to educate the IWA community on the role of advancement in strategic growth and funding. IWA will develop and implement a plan to grow the IWA Foundation. 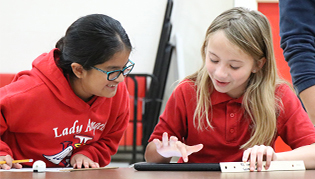 IWA will continually research and evaluate technology advancements for administrators, staff, and students to provide a dynamic technology environment.